How to get to the island, where to stay and what else to do? There are two flights a day and one on a Sunday from Glasgow, operated by Scotland’s airline, and our event sponsor, Loganair. The flight takes just an hour, usually leaving around 9am and 4.30pm. You can also enjoy a scenic CalMac boat trip through the Sound of Mull from Oban. Ferries run daily in September. The island offers a range of accommodation options from homely B&Bs and private self catering houses to hotels. If you need any help with travel and accommodation, please contact us and we’ll be happy to advise you. A local bus service called ‘Ring & Ride’ operates every day aside from Sunday but must be booked in advance; to arrange a journey telephone 01879 220 419. Taxis can also be booked via the same number. 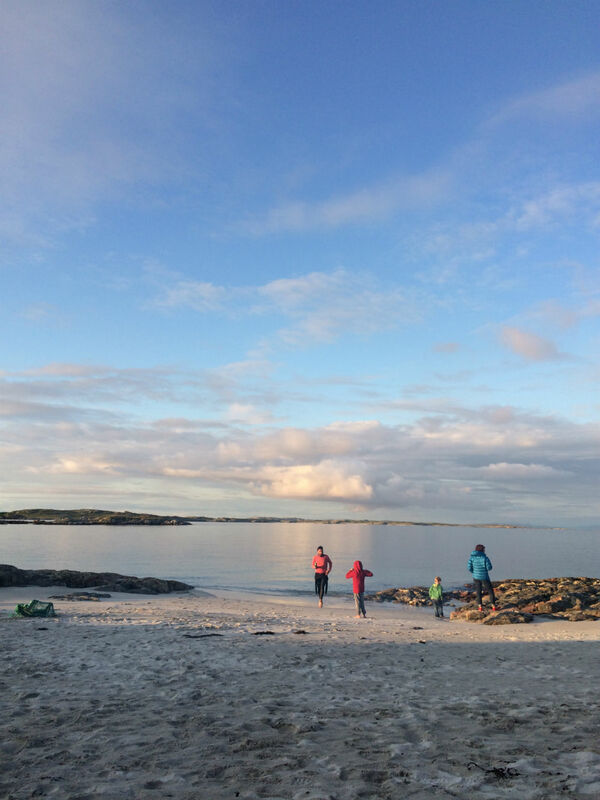 Tiree offers an amazing range of ways to experience the magical beauty of the island, on and off land. The Islee of Tiree holds the reputation of being Scotland's premier watersports, wind and surfing destination and the island has two fantastic operators with packages for children and adults looking to dive in and enjoy the waves. Wild Diamond run kayaking, surfing, windsurfing, kitesurfing, and stand-up paddle borading activities. The Isle of Tiree website is packed with useful information about where to stay and what to do during your stay on the amazing Isle of Tiree.